Herbaceous peonies should be cut back each year to create a pleasing aesthetic in your peony gardens, maintain good air circulation, and prevent the spread of disease. Diseased, dying, and dead peony foliage isn't very nice to look, and cutting back your peonies will definitely present a cleaner and neater appearance in your peony beds. Old foliage from the previous year is going to prevent air circulation around the base of the plant which would create a moist environment ripe for the growth of foliar disease. 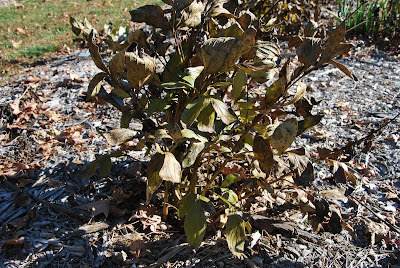 Also any diseased foliage left in the peony bed gives the disease a chance to infect the newly emerging foliage in spring. Using sharp clippers cut each of the peony stems back at the very base of the stem, even with the ground. Take care to avoid clipping any pink buds (peony eyes) that may be showing. 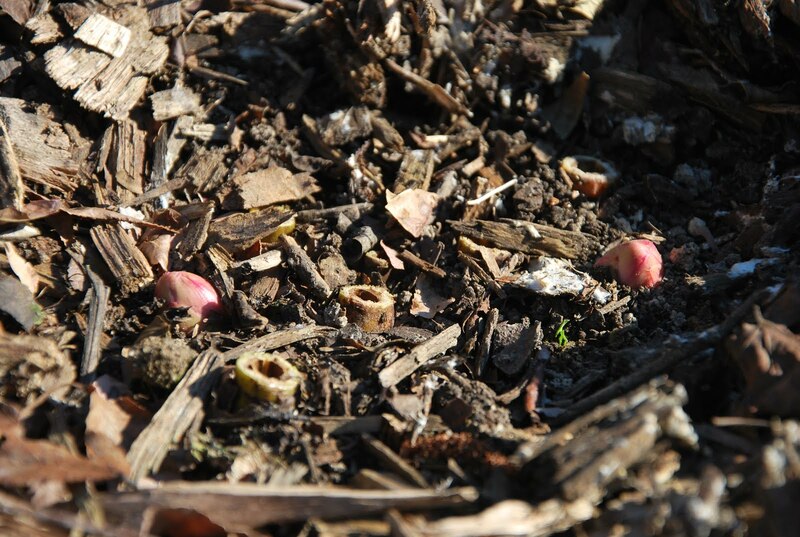 These are the beginnings of the peony's growth cycle for the coming year. These pink buds will develop into next year's shoots. So be careful to stay away from those buds since they will become next year's foliage and possibly blooms as well! 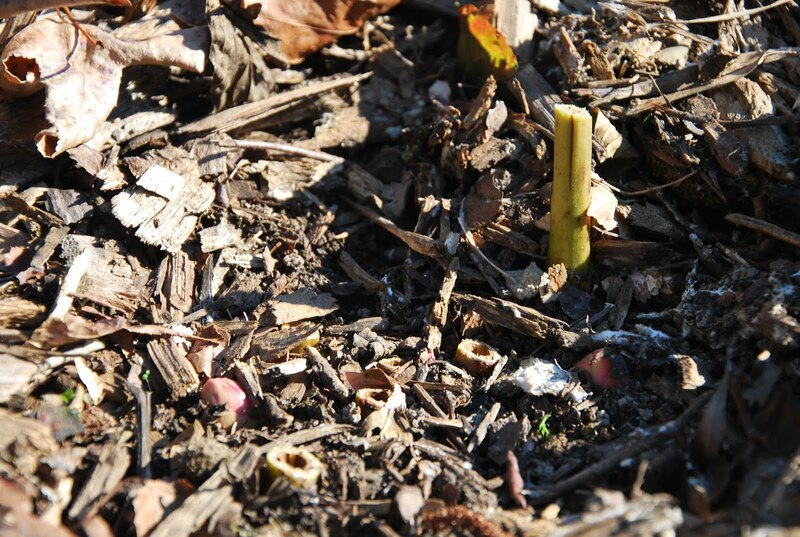 After cutting back all of the peony stems, make sure to throw all of the stems and foliage away. 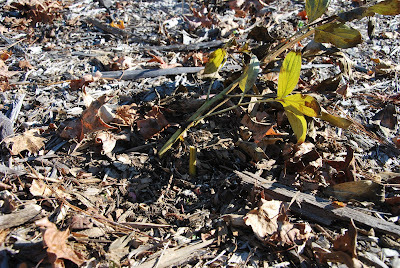 Do not compost the cut back peony stems and foliage. It is best to completely remove all of the cut peony foliage from the garden. I usually keep a plastic bag with me in the garden while I am cutting back the foliage, and I will put the cut foliage in the back as I go. 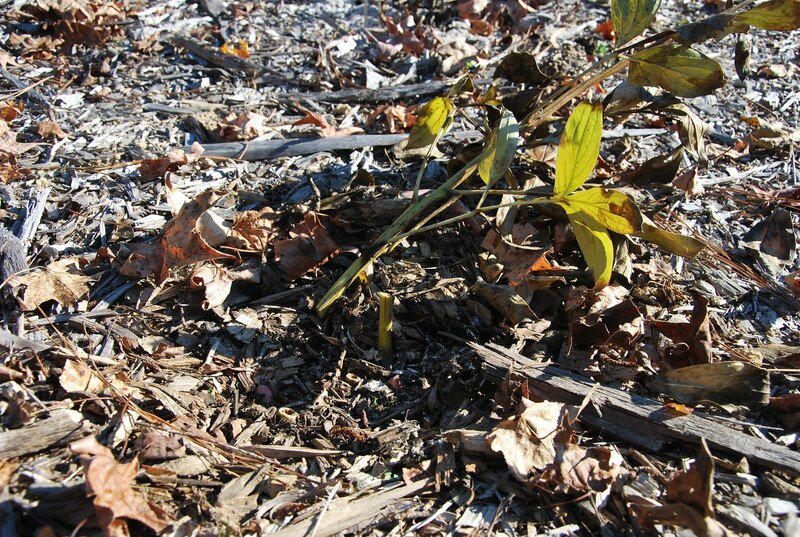 Also examine the ground after removing the cut foliage to see if there are any peony leaves that were left behind. Take care to remove any loose peony leaves that you find. Some people will leave a short 2-3 stem on all of their peony shoots when cleaning up in the fall as shown on one stem in the picture above. 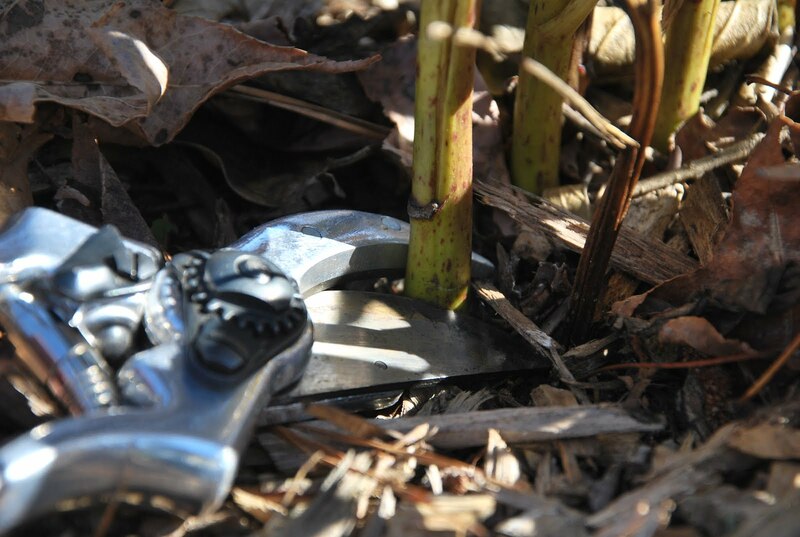 I think some people like to keep the short stems to help them remember where their peonies are planted. 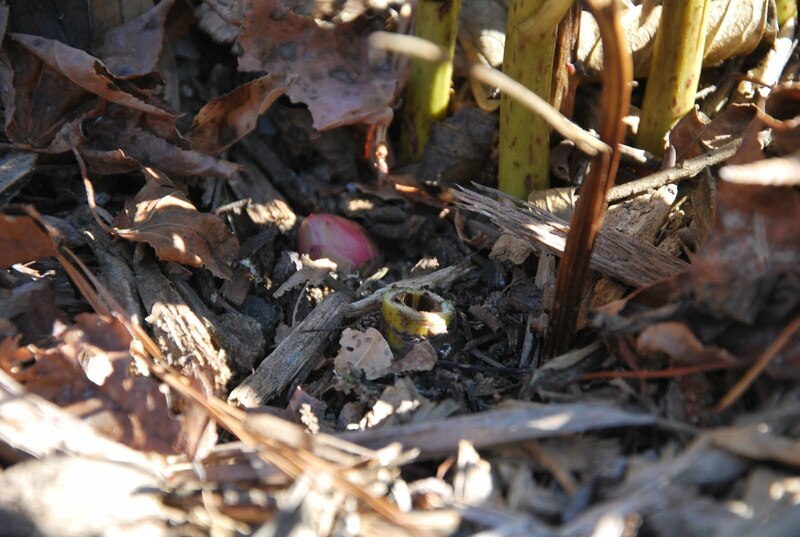 However here in my growing zone, I can almost always see the pink buds (peony eyes) showing through fall and winter. I also make sure to keep my plants labeled and mapped, so I know their location and variety. I always cut my peonies back even with the ground. I figure if you are cutting back the plant to remove the green plant parts to prevent disease, the more you cut back, the less surface area for the disease to use as a host.